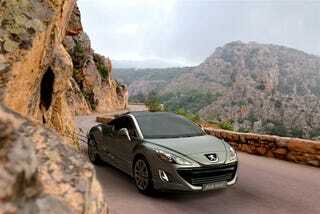 The Peugeot 308 RC Z concept has its fans and its detractors but we're squarely in the former camp. That's why we were so excited to hear that they were considering the vehicle for future production. Today we got confirmation from Peugeot's General Director, Jean-Philippe Collin, that the production version of the RC Z will bow at next year's Frankfurt Motor Show and will be ready for purchase in the spring of 2010.